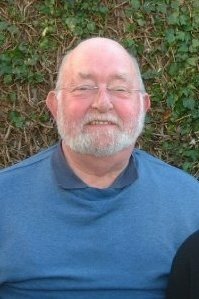 On Wednesday my wonderful Grandad passed away. To say the last few days have been tough is an understatement. It has taken me until today just to get out of bed. Some people aren’t that close to their grandparents but I was, am. To me, my grandad was what a man should be – warm, generous, kind, loving, protective and sweet. I can remember him taking my baby sister and me on nature walks where he’d tell us how to identify different animals from their tracks. I remember him making us boiled eggs and soldiers – because of him, I always eat my soldiers with marmite on. He taught me how to write in joined up letters. I was a Brownie and Girl Guide because he was a Scout Master and I wanted to make him proud. I remember him reading the newspaper while I would read the magazine insert next to him. I would steal his hats and loved the smell of his jumpers. He would always save me the hazelnut chocolates and drank port on special occasions. I called him my egg and he called me Em. He never needed a lead when he walked his dogs, they would just listen to his voice and sit or stop. He took us to the fairy-glade – the woods near our house where fairies lived and let us play in the tree hollow. He never finished crosswords, he loved motor car racing and hated football. He always had travel sweets in his car. His eyes were the exact blue of my sisters. He hated tattoos and never spent more than one night apart from my Grandma in 55 years. He loved drawing and kept a diary which he wrote in every day. On my graduation day he told me he was so proud of me. He said he’d never leave me if he had a choice.